I’m honored to be part of Book Selling University. Take a look at all the courses offered! Distribution and special sales beyond the book store! The best part about Book Selling University is that you pick and chose what courses you need when you need it! 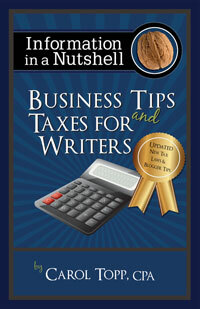 You might want my course How to Set Up a Publishing Business BSU-124 pretty early in your publishing process and take Taxes Tips for Authors (BSU-125) at the end of the year, so you’re ready for tax season! And the courses are offered at a very affordable price! You learn from the experts in the comfort of your own home and on your schedule. There are even two free courses. You’ll want to watch How to Purchase a Course (BSU-199) and Introduction to Special Sales (BSU 100) to get a feel if you like online courses. I’m sure that you will! Enjoy learning and ultimately selling more books!